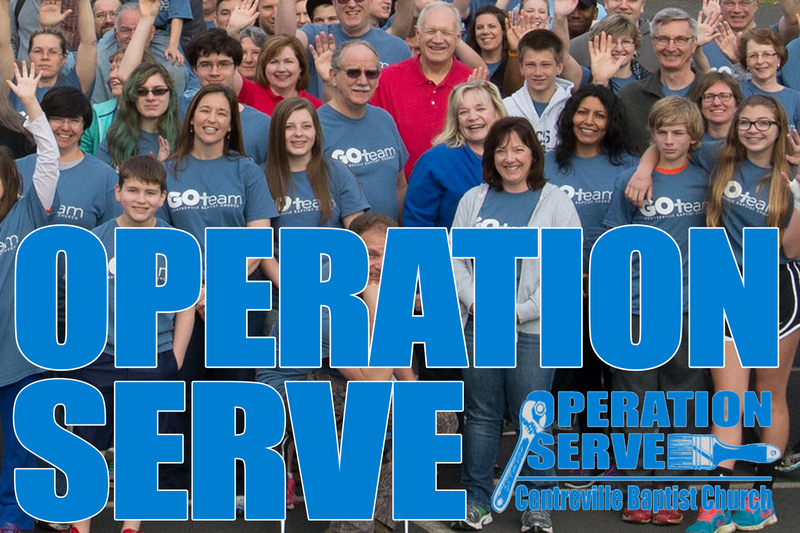 Help Share God’s Love through Operation Serve and Clothing Giveaway. CBC congregation donates clothes, comes together to sort, fold, and distribute them to our community. This year, the Clothing Giveaway is May 11th, Saturday morning starting at 8:30am. Check this link for Clothing Giveaway. We love our community and want to share God’s love by serving others. Operation Serve gives you the opportunity to do just that! Operation Serve is a church-wide service project blitz where we serve our community through a variety of projects. There are projects for all ages and we encourage families to serve together. Saturday, May 11: Choose from a variety of projects such as: London Towne E.S. Fun Fair, Clothing Giveaway, spring cleaning for Senior Citizens and more. Times to be announced. Check to see how your Community Group is serving or if you are not in a community group, fill out a registration form available at the Next Steps area. For more information, please contact Bill Hatcher at .